Great 70’s psychedelia from the northeastern state of Pernambuco, Brazil. 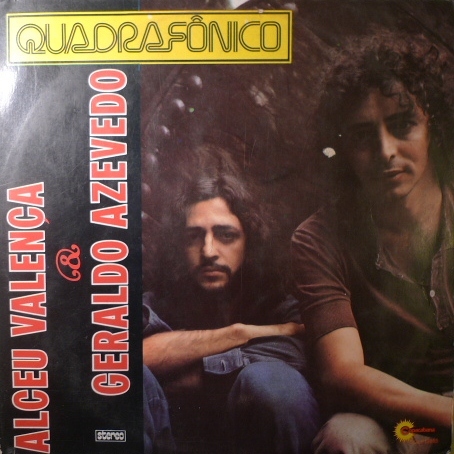 Composers/vocalists Alceu Valença & Geraldo Azevedo would eventually end up being part of a more main-stream/popular Brazilian rock scene later in their careers – but the Tropicalia/Veloso and Minas Geraes/Milton Nascimento sound can be heard throughout this debut album. Musically considered a regional take on what was happening throughout Brazil in the early 70’s. A great mixture of guitar driven folk, psychedelia, cabaret, with some splashes of percussive tropical sounds. Not a ground breaking record, but a solid effort from this obscure Brazilian gem. Enjoy!